Caliva, a San Jose, California-based group, said it would use the investment to grow a company that includes a farm, a retail store, distribution center and a delivery service. It also distributes its branded products in dozens of other retail outlets in the state. The former San Francisco 49ers star said his venture capital firm was investing in an industry he says he believes “can provide relief to many people and can make a serious impact on opioid use or addiction.” Some doctors recommend marijuana to treat opioid addiction and as an alternate relief for pain. Montana is the latest, and one of the most prominent, professional athletes to openly endorse marijuana use. Heisman trophy winner and retired NFL running back Ricky Williams and NBA Hall of Famer Bill Walton have been particularly outspoken in their embrace of marijuana. Super Bowl-winning quarterback Jim McMahon, professional wrestling star Rob Van Dam and ultramarathon runner Avery Collins also publicly endorse marijuana. “People are discovering there are better ways to clamp down on pain than over-drugging yourself,” she said. Bartz said she doesn’t smoke or consume edible marijuana but uses cannabis-based creams and tinctures. Bartz said the investment would be used to open more stores and expand operations and launch products, including cannabis-based beverages. California broadly legalized marijuana on Jan. 1, and state officials predicted as many as 6,000 stores would open in a matter of a few years. But the state Bureau of Cannabis Control issued only 547 retail licenses in 2018, and sales fell below expectations. 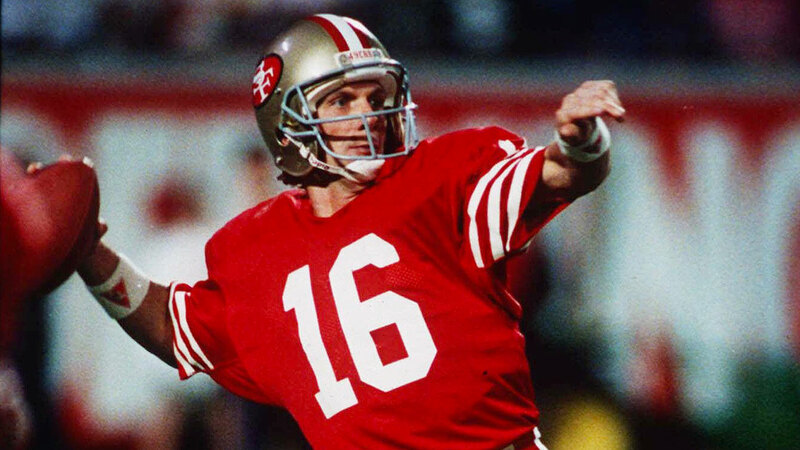 Montana retired after the 1994 season, playing 13 years of his 15-year career with the San Francisco 49ers, which won four Super Bowls with him as starting quarterback.